Evans Incorporated’s 25 Year Anniversary is approaching, so we’re taking the next few months to reflect on where we are currently and what’s to come! This includes highlighting one of our areas of specialization per month through September. The focus for the month of August is Program Management Optimization. A key aspect to Program Management Optimization is stakeholder collaboration. A program can’t run smoothly without the stakeholders, both internal and external, so keeping stakeholders engaged in decisions and informed with updates will help promote a smooth operation. This Thrive focuses on a few key methods you can use to ensure you’re collaborating with your stakeholders. To each the client responds, “Just me.” How easy did your job just become? The only stakeholder is your client! Realistically, most clients don’t operate in these vacuums but are part of complex systems with massive operational dependencies and interdependencies. 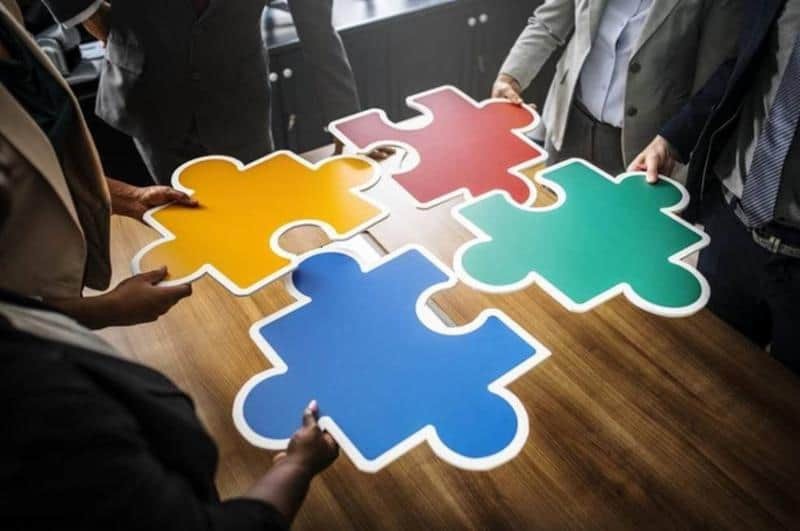 This additional level of complexity can be overwhelming, but there are many tools available to facilitate effective stakeholder collaboration such as Stakeholder Analysis, Stakeholder Engagement Plans, and more. First, identify who the real stakeholders are – it’s not just the sponsors or people within your organization; who are the customers of the solution and who provided you with the input critical to do your work? Second, understanding stakeholder priorities is imperative to understanding their perspective on the program. If stakeholders have different priorities, it could create tension in how these different views believe the program should be run. Taking the time to understand the perspectives will help the stakeholders know that their perspective matters when making decisions that affect them. It’s also important to note that stakeholder interests or priorities may differ from their publicly-taken positions. Third, give the stakeholders a platform to speak. Whether this is a forum once per month or weekly team meetings, stakeholders should be given the opportunity to weigh in. Fourth, provide timely, tailored updates. Stakeholders should be kept engaged by giving timely updates that are tailored to their interests and influence on the program. There is a balance between giving an update too soon with information that is likely to change, and waiting too long to give an update so the information spreads by word of mouth before stakeholders are informed by the appropriate role. As far as tailoring updates, there is nothing that makes someone “check out” quicker than continually being sent irrelevant information. Understand your audience for each update, and send these updates only to that audience to prevent communication burnout. The first step in engaging your stakeholders is to identify them! Take a moment to think about your program, or the program you support, and list who is involved and affected by the program. Stakeholders could be employees, managers of other programs, directors or account leads, clients or customers, business partners, suppliers and more. You may find that the list is smaller than you thought or much bigger and requires a more formal Stakeholder Engagement Plan, but knowing first who your stakeholders are is a step in the right direction to laying a great foundation for stakeholder collaboration! Need some guidance or want to take your stakeholder collaboration to the next level? Our team of seasoned, human-centered professionals can help! Realistically, most of our clients don’t operate in vacuums but are often part of complex systems with massive operational dependencies and interdependencies. This produces more stakeholders with whom you must intentionally collaborate to understand the full breadth of the problem and ensure the success of your solution. I liken stakeholders to dynamic puzzle pieces. Understanding how everyone fits into the big picture helps me understand their influence on the program and vice versa. Operational inefficiencies may inhibit effective stakeholder engagement and collaboration – e.g., how decisions are made, how stakeholder input is elicited, etc. 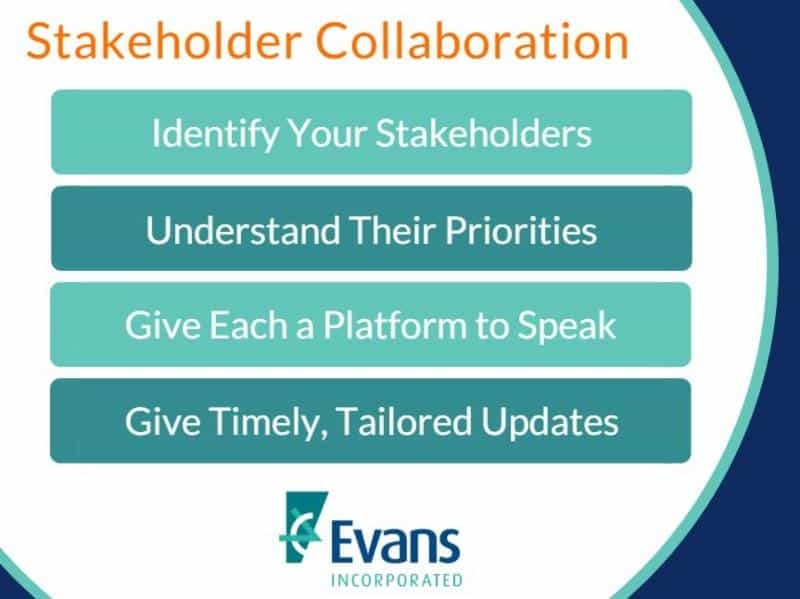 These considerations may feed into tools commonly available to facilitate effective stakeholder collaboration such as Stakeholder Analysis, Stakeholder Engagement Plans, etc. The concepts described above are at the heart of any of these tools.